If you found a loved one, stranger, co-worker or friend laying unconscious on the floor would you know what to do? Learn life saving techniques and strengthen your resume by attending workplace approved first aid and / or CPR courses with a training provider in your area. The Canadian leader in training is St Mark James Training which has been providing training to Canadians for over a decade. Select your location from below to find the provider in your area. Finding the right location, the right provider and the right training partner to register for first aid certification training with can be a long and difficult process. Canadians have a lot of options to choose from. Hundreds of first aid providers claim that they offer credible and recognized certificates when only a few dozen actually do. Even fewer of the providers offer certificates that meet workplace and academic standards. Our recommendation is that you receive your first aid training through a respected, experienced Canadian St Mark James provider. We are partnered with a number of providers throughout Canada in almost every major municipality. Our partnered St Mark James first aid trainers are in Vancouver, Kelowna, Surrey, Edmonton, Calgary, Ottawa, Saskatoon, Winnipeg and Regina. Our first aid and CPR certification providers offer the most competitive prices in Canada. Prices range from 30 dollars to 140 dollars depending on the type of certification and training that you need. 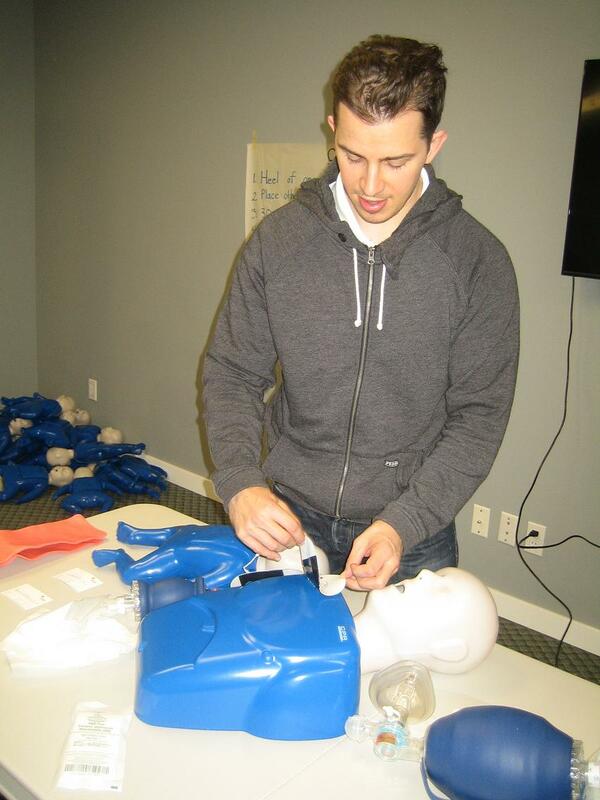 All of our training providers offer a wide range of first aid, CPR and AED re-certification programs. Check with the provider in your area to make sure you meet the required pre-requisites. Renewal courses are significantly shorter and dramatically cheaper than the original courses. Students that complete the St Mark James certification class will receive a credible award. This licensing certificate is awarded as a wallet sized certificate and meets a wide range of certification standards for workplace and academic purposes. All of our training partners are focused on providing comfortable, clean, convenient and a welcoming learning atmospheres. Meeting these criteria at the highest standards has made these provider some of the most successful workplace approved training provider in Canada. All of the training providers that we partner with also offer private first aid certification and re-certification classes. Visit the provider website for more information or to book a private course.